Elizabeth, an 85 year old widow, lives a subsistence life on her small plot of land. Unable to afford treatment for cervical cancer, the care she receives from Siaya Roselyn Hospice has been a life-line. 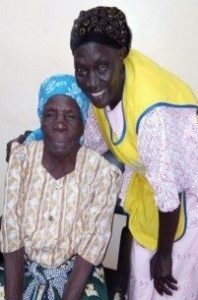 The care and compassion that Elizabeth receives from a visiting community health volunteer has enabled her to go on living at home and improved her quality of life. Pain relief and psychological support have been vital. Gifts from Hospice Care Kenya supporters have enabled us to support the training of a further 90 community health volunteers working from Siaya Roselyn Hospice over the past year. Please help us to provide essential care for more people like Elizabeth by donating HERE.